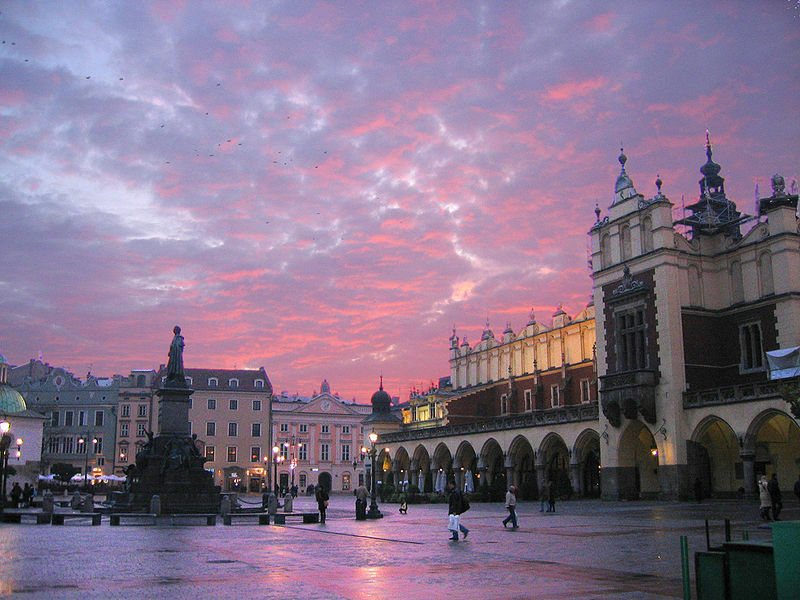 The historic city center, or Krakow’s Old Town, is a great place to start your day. It’s listed as a UNESCO World Heritage Site, and it’s lively and bustling throughout the year with all kinds of vendors. There are more than 6,000 historic sites just in Old Town, and it’s home to an astounding 2 million works of art. It’s safe to say that you won’t be struggling to find something to see and do in this particular area of the city. Krakow was under Nazi occupation for five long years during the Second World War, so you would be remiss if you didn’t take some time out to learn more about this dark period in the city’s history. Anyone who has seen the Academy Award winning film Schindler’s List will be familiar with the man who helped save the lives of hundreds of Jewish people during the War. Today, Oskar Schindler’s Factory, located in the industrial district of Zablocie, serves as a museum. While Krakow has a lot of stunning architectural sites, Wawel Royal Castle is a must see. The first king of Poland made it his home back in the 10th century, and it’s been a symbol of the city ever since. If you really want to learn about the history of Poland, you have to tour the palace and cathedral. You really can’t talk about Krakow without mentioning the Auschwitz-Birkenau concentration camp, which is just about an hour outside of the city. Once the site of some of the worst horrors committed against humanity, today it offers visitors a somber and sobering reminder of our not-so-distant past. Although you’ll have to travel outside of the city by bus or train to get there, it won’t take more than a few hours to explore the museum and memorial. You can take a guided tour of the grounds for a deeper understanding of just what happened here during the Second World War. Once you’re done sightseeing and paying your respects to the past, stop in to one of the many drinking establishments for a nightcap or 2. Bar hopping is an evening ritual among the city’s younger set, and tourists of all ages are drawn to Krakow for its vibrant bar scene. You don’t have to be a big drinker to have a good time in this town, though. Just meeting locals and fellow travelers is often entertaining enough. Europe is full of cities with rich and sometimes dark histories, and Krakow, Poland is no exception. It’s often a top pick among travelers who appreciate the many historical sites, as well as the vibrant cafes and pubs. If you plan a trip, expect to enjoy a mix of exploring the past and enjoying the present. Looks like a beautiful city though can’t imagine how moving it must be visiting the sites of such atrocities at the concentration camps. I’d be interested to visit Poland one day. Poland just keeps getting more and more interesting to me too. Thanks for dropping by!